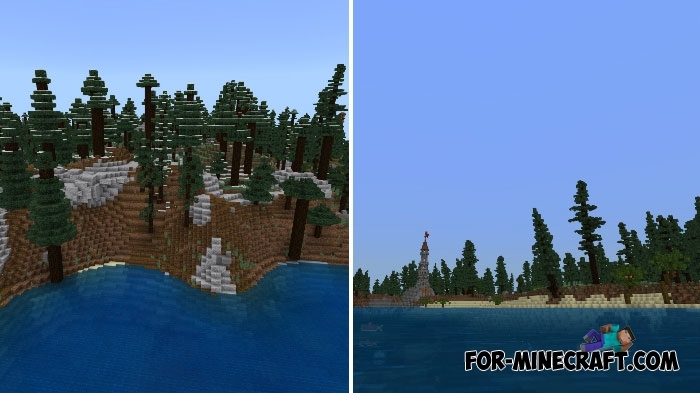 Your new survival will begin in a place that cannot be generated using standard tools in Minecraft BE. 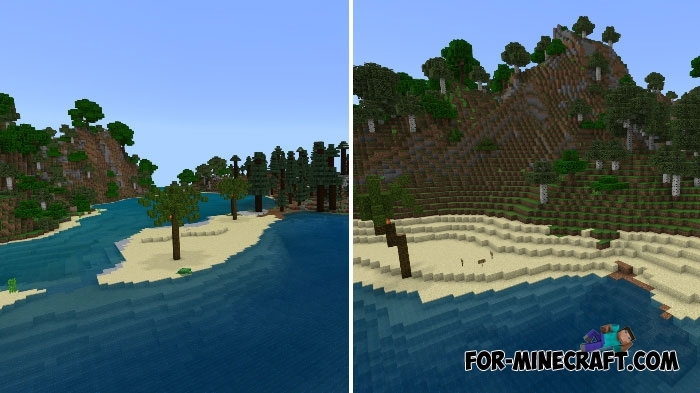 Vanilla generation is particularly accurate but it does not diversify the world so that the biomes look completely different. 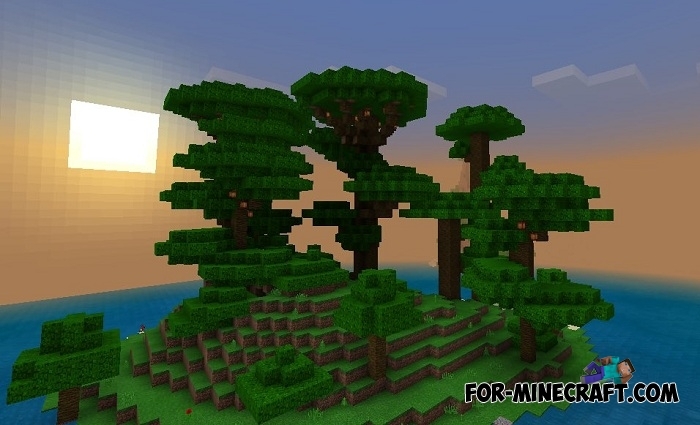 More than 400 biome variations are collected here that form a wonderful world with all kinds of structures available in Minecraft. In this way, you can find villages and structures hidden in forests, find sunken ships (with traps) and simply live by building cozy houses and discovering new places. This world is more picturesque and surpasses what you see in ordinary worlds. 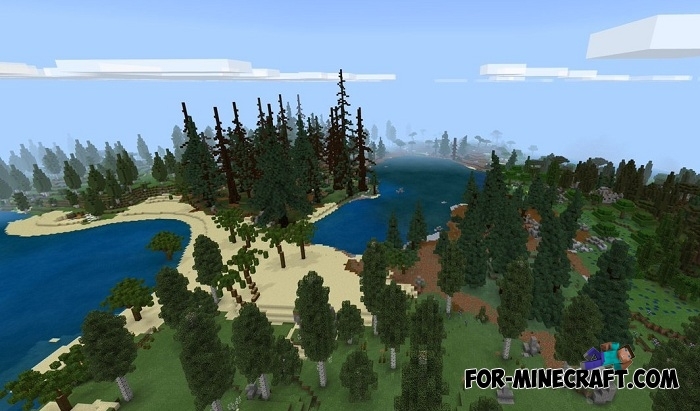 It doesn't matter, play Minecraft 1.8 or use older versions if you want.